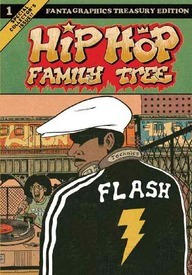 A propulsive page-turner, this premiere edition of Hip Hop Family Tree is but the first of six planned volumes chronicling the rise of Hip Hop from a low-budget entertainment staple of mid-1970s social gatherings in the Bronx to a globally embraced manifestation of the vitality of US culture. This is the real deal as only a comic book can bring it. HHFT has been serialized on BoingBoing since the beginning of 2012, but we are here to tell you that its crucial essence only arises in the physical form that has now been unleashed on world. 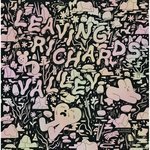 Turning down the chance to cash in with a New York publishing house and risk having his vision compromised, Piskor chose instead to sign with visionary comics publisher, Fantagraphics Books, who promised him Total Artistic Control™, allowing him the free reign necessary to put together this perfect package. Taking a page out of the Afrodisiac playbook by employing the formal qualities and production values of the era depicted and, in typical Piskor fashion, amping it up to the next level, Hip Hop Family Tree is packaged in the form of a deluxe Marvel Treasury Edition, the gigantic 100 page comic books published primarily during the mid and late 1970s – precisely the time period in which Hip Hop was born – and so providing a perfect match of form and content. The parallels between the comic books of the era and Hip Hop are concisely chronicled in a three-page comics-essay appended to the conclusion of the volume's story that can stand as the formal thesis statement for the series. While there very well may be "no business like show business," it's equally true that there's no history like Hip Hop history and Hip Hop Family Tree is here to announce this fact in a work that is as edifying as it is entertaining. And, finally, anyone who has yet to do so is encouraged to invest six minutes in the watching of this short film made for Time.com that provides an in situ portrait of Ed P and was directed by fellow-Pittsburgher, Julie Sokolow.